Last night while having a few bottles of beer with a friend, who lambasted me for being too concentrated on my new account, we were talking about how to upgrade ourselves while we are on the verge of enjoying what's great in our lives. In fact, giving it a shot this summer is perfect. While the summer sun is still up there, it’s would be nice to stop, take a break, and get rid of all the negative stuff on the face- both the unpleasant aura and the acne (you know that!). 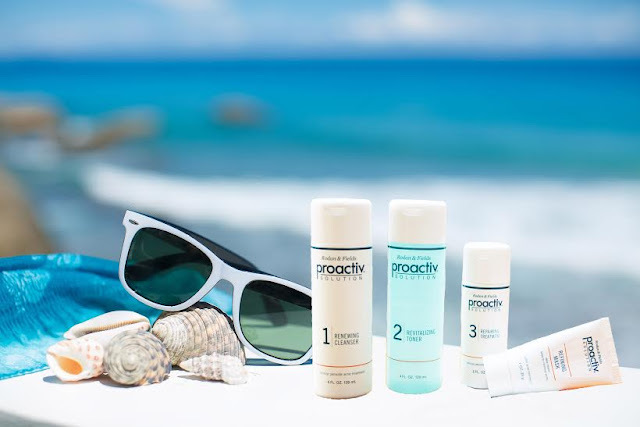 One of the most instant things I wanna recommend is Proactiv, the leading brand in attaining healthy, vibrant and acne- free skin this hot summer months. If you’ve been to getaways in far islands of Palawan or high mountains of Sagada, I’m pretty sure you did experience the ugly effects of the season: excessive oil, dirt on skin, breakouts, etc. With Proactiv’s mild formulations, you can exfoliate your skin with extra care while removing excess oil and busting acne off your territory. It’s acne-care system and micro-crystal ingredient work for fast pore penetration and instant acne-fighting effect. First, use the renewing cleanser. The renewing cleanser has beads that gently remove dead skin to help keep the skin free from clogging. Second, time for the revitalizing toner. Since it is alcohol-free, it is a perfect tool to remove impurities and excess oil in the skin. It also has botanical agents that balance skin tone. Third, have a touch of the repairing treatment. This is a feather-light medicated treatment for the entire face. Finally, use the refining mask. This rich and deep cleansing mask that utilizes sulfur. It heals the blemishes and redefines your skin texture. Fun this summer will be more memorable if you stay beautiful and free from acne. Visit ProactivShopping site now and explore the unlimited ways to be an upgraded version of you!